I sit at my desk, typing then backspacing, typing then backspacing. Highlighting paragraphs. Deleting, undoing, rewriting. What’s wrong with me? I look at my dog who looks up at me helplessly. What? You want to go for a walk? I’m busy writing, okay? I get up to make coffee. I’m hard on myself when it comes to my writing (in case you couldn’t tell). It’s healthy to be self-critical of your work, necessary to hone an objective eye, but not to a degree that makes you lose confidence. I want my writing to be perfect. Perfect! But this yearning for perfection has only gotten in the way of my writing. The quest for perfection is nonsense. It’s distracting, and not the point of writing at all. You know what else is distracting? Comparing yourself to other writers. They cannot write your stories just as you cannot write theirs. So focus on your own work. But I love this quote so much because it gives me hope. It reaffirms that I’m not crazy. That the path to the most coveted words “The End” is supposed to be thorny, is supposed to draw blood. That I feel the way I do about my writing because I am a writer. All writers have their insecurities, moments of self-doubt and agony. But real writers write their way out of these emotional trenches. Real writers don’t stop writing. 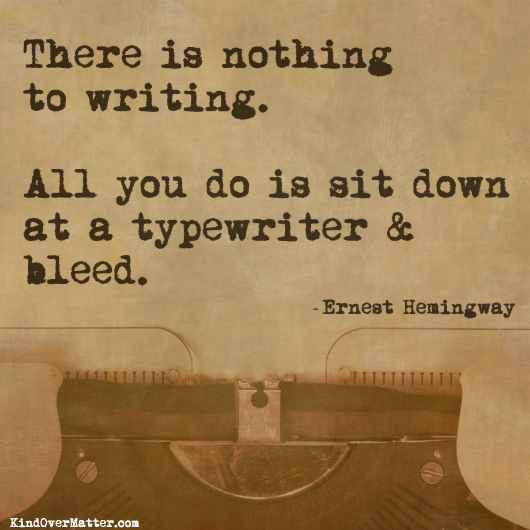 Because writing is a passion. We don’t write for money or recognition (and certainly not for physical well-being). 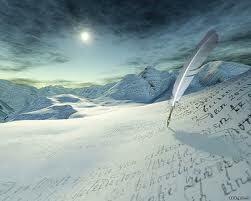 We write because we have an aching in our hearts, a story to tell. A story that occupies our daydreams and keeps us awake at night. A story that we need to set free into the world so we can finally set ourselves free. A story worth telling and a story only we can tell. There is nothing to writing. So I sip my coffee, roll up my sleeves metaphorically, pet my dog because she calms my nerves, and get to writing. I have this ache in my heart for a reason. It wasn’t until I came across the above quote that I realized, yes — that is why I love to read and write fiction. I want to explore the human condition. The yearnings that pull at the human heart. Some yearnings are live wires, bursting, causing trouble or inspiring great change; others are dormant, not yet realized. At the core of every beating heart is a raw desire, a painful need, a helplessness, a joy, a hope, a love, a passion, a fear, a secret. I’m fascinated by these complexities that make up who we are as human beings. By the eccentricities of our human nature, by the good and evil that battles in our hearts, by the intricate relationships we forge and release in our lives. By the choices we make. By how those choices follow us. Why do we do the things that we do? What does it mean to be good? What does it mean to be evil? What does it mean to be human? Is there hope for us? We all have unique stories and truths that shape our lives. Fiction is a reflection of those stories and truths. Sometimes the reflection is bright, sometimes it’s dark, but fiction — good fiction — is always true in that it always seeks to express or reveal what is true. That is why we connect with characters, why they become real to us — because in the characters, in their flaws, strengths, and motivations, we recognize a piece of ourselves or a piece of someone we know. When I write fiction I get to analyze the various depths of human emotions. I get to be, feel, see anything I choose… I get to dive into the wondrous world of the everyday, seek beauty in the most unlikely of places, find the amazing in the mundane. 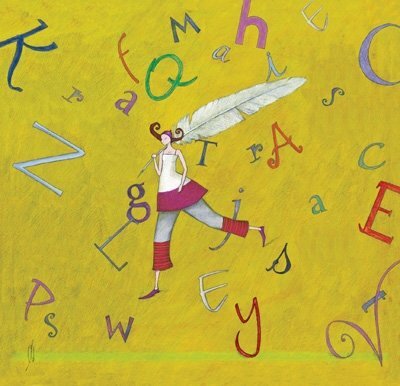 Writing fiction allows me to step outside of myself, and it helps me find some understanding in a world that is becoming increasingly fearful, cynical, and unfeeling. You are not alone in this beautiful mess called the human experience. You are not alone. I too have braved this battle and felt this feeling and found this joy in the nothing.